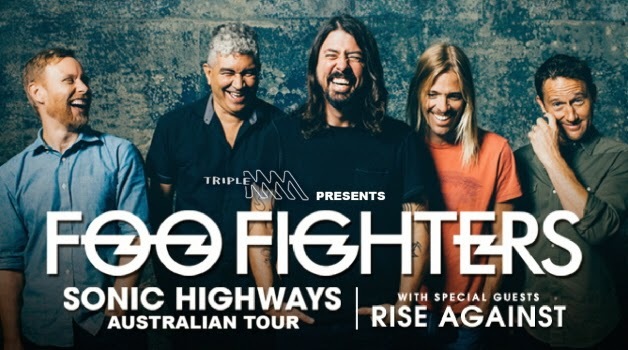 Yes, Foo fighters fans rejoice ! Your boys will be heading to Australia next year for a massive stadium tour. With their recent released episodes of Sonic Highways ampin' you up for their new album also titled 'Sonic Highways' this news would have been icy on the cake. The lads are also bringing some wicked support with them. 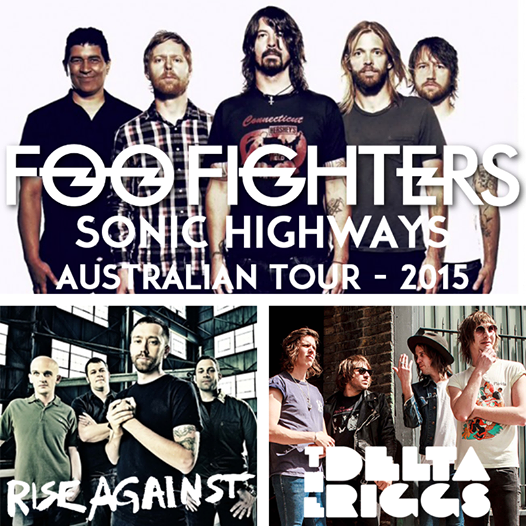 No one other than punks Rise Against and Aussie rockers The Delta Riggs. All your tour details are below, and make sure you are quick and note down the dates Fooey fans, these tickets will be going like hot cakes!